Comments: This is a great evergreen perennial for the shade garden. Although somewhat slow to grow into a sizable clump this is very easy to grow and small plants can be taken from a large well established clump. Somewhat expensive to purchase. 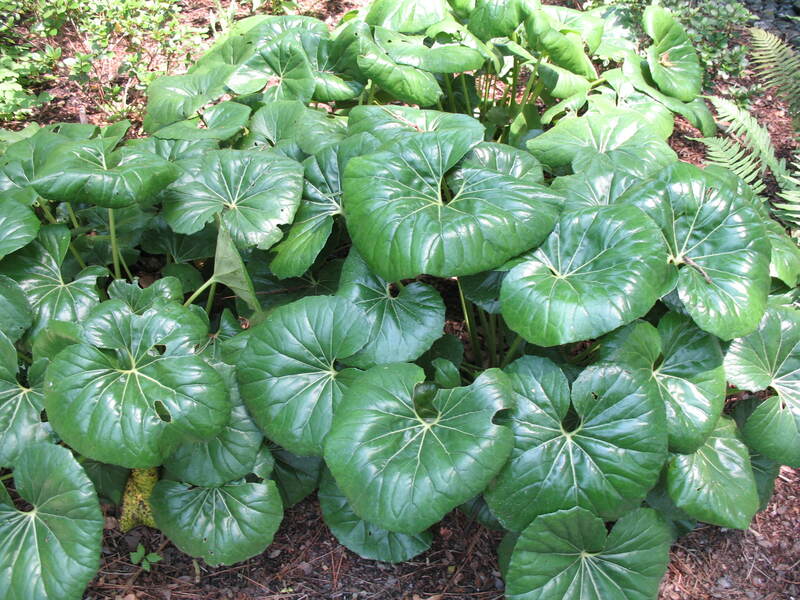 This plant has been formerly known as Ligularia tussilaginea and Ligularia kaempferi. It is primarily grown for its handsome glossy, round leaves, but there is a rather significant yellow stalked flower that appears in the fall.